Below you can view all the homes for sale in the Village Grove subdivision located in Suwanee Georgia. Listings in Village Grove are updated daily from data we receive from the Atlanta multiple listing service. To learn more about any of these homes or to receive custom notifications when a new property is listed for sale in Village Grove, give us a call at 404-998-4113. Low Hoa Fee Includes, Trash Pickup, Lawn Care And Amenities MLS#6539066. Keller Williams Realty Signature Partners. Great Family Oriented Community W Swim/Tennis, Playground... MLS#6537045. Sunny Home Realty. Large Master And 1 Bed On 3rd Floor. MLS#6529240. Focus Realty Investment. 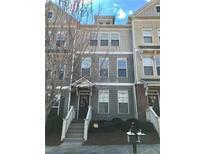 Walk To Local Restaurants & Popular Downtown Suwanee. MLS#6525185. Atlanta Communities. Pavilion For Picnics. Located In Downtown Suwanee. MLS#6525305. Vistaray Usa, Inc.. Custom Updated Closets & Home Is Set Up For Smart Home Nest. MLS#6521841. Mark Spain Real Estate. 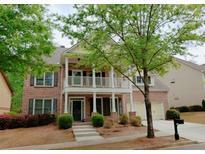 Much Sought After North Gwinnett Cluster. MLS#6520844. Rivermoore Partners Realty, Llc.. Private Fenced Yard With Covered Patio, Landscape Lighting And 2 Car Garage. A Must See!! ! 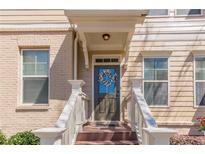 MLS#6511934. Keller Williams Realty Atlanta Partners. Call Today To Schedule Your Appointment To See Your New Home! MLS#6509577. Bhgre Metro Brokers. Don'T Forget To Check Out The Amenities! MLS#6505142. Keller Williams Realty Atl North. Property Is Sold "As Is ". Hurry!! ! MLS#6096806. Trustus Realty, Inc..